Black – Navy, Royal Blue and Sand colours are available subject to minimum order quantity. Can plates be taken out/put in the vest whilst being worn? Is Velcro used to seal the ballistic plate compartment? Our recently developed concealable MV2 model is already being worn by Diplomatic Protection Teams, Personal Security Details and specific law enforcement units alike. 250mm x 300mm front and rear pockets allow you to insert any NIJ Level III or IV ballistic plates in case your ballistic threat is higher than that of handguns. Offering not only NIJ Std 0101.06 Level IIIA certified ballistic protection, they also protect the wearer from full contact shots as required by the FBI and the infamously stringent German Police body armour test protocol. Official test reports are of course available upon special request. 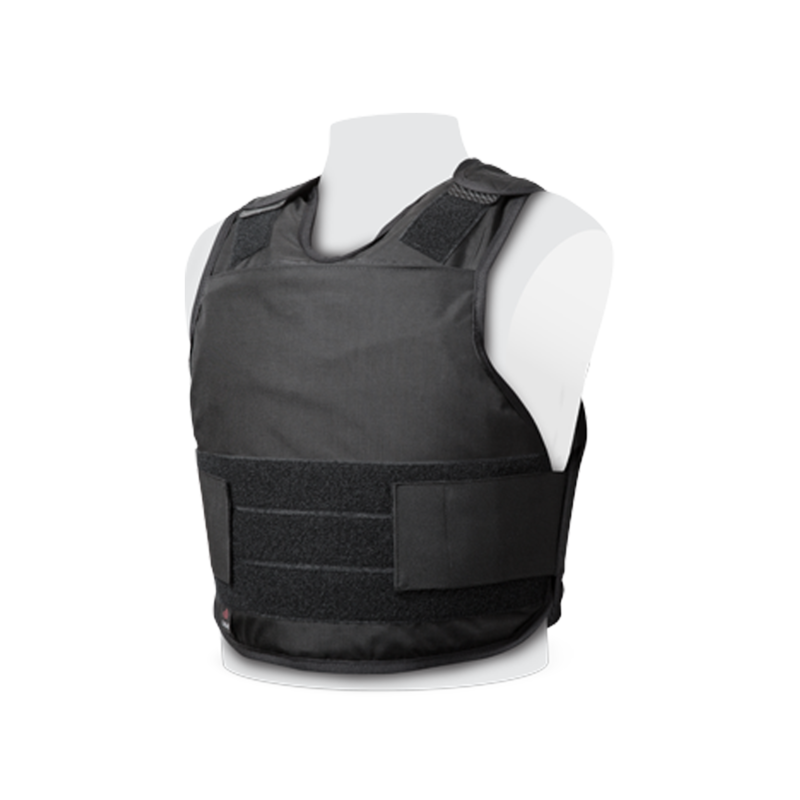 If you require a covert ballistic vest without the plate options, please see our Covert Ballistic Vest.